Thomas Nuttall was a botanist and early American explorer. Born in England about 1786, Nuttall came to America in 1808. After explorations into northeastern Canada and up the Missouri River, Nuttall was asked by the American Philosophical Society to explore the Arkansas River and surrounding area. He embarked on the trip in 1818, returned in 1820, and was paid a total of three hundred dollars. 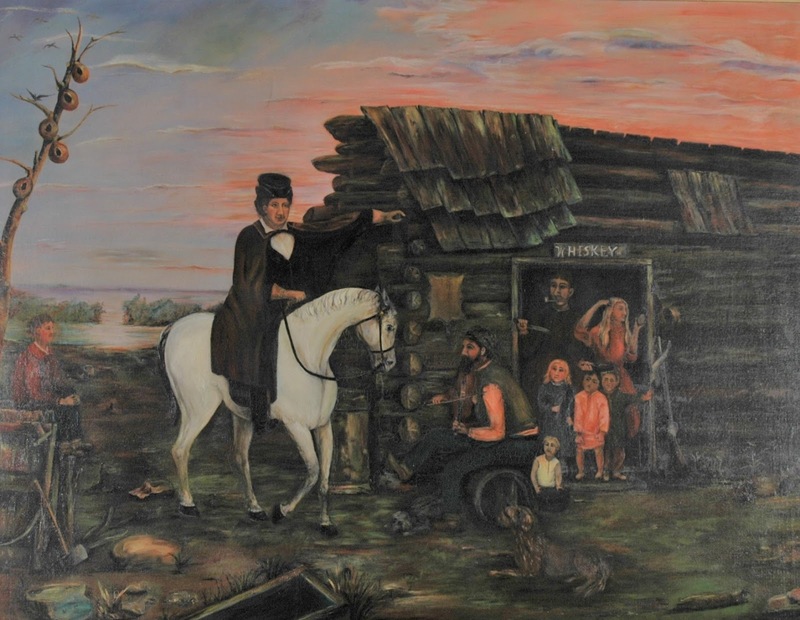 He traveled to the newly-built Fort Smith, and used the fort as a base from which to explore further, collecting and sending at least one shipment of specimens back to his Philadelphian backers. This collection contains typescripts of letters written by Thomas Nuttall describing the settlements of Arkansas Post, Little Rock, and Fort Smith, the geography and richness of the land, and the people who inhabited the area. Like many historic sites around the state, the Southwest Arkansas Regional Archives and Historic Washington State Park will host special activities Saturday, March 2, to commemorate everyday life during the creation of the Arkansas Territory. 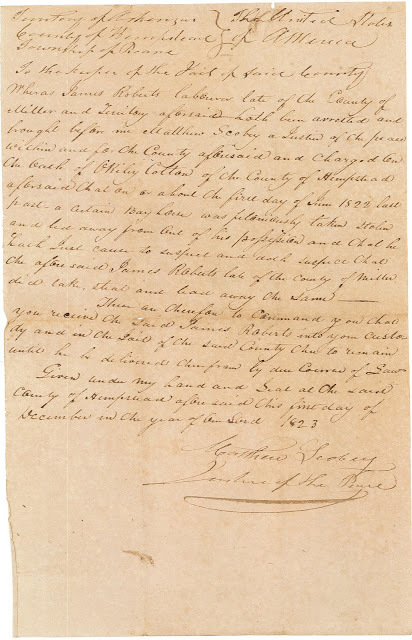 · Visit the Morrison Tavern Inn and talk with staff to see original Territorial Era Hempstead County court documents! Learn how to uncover history in your own investigations of archives records. · Locate your county in the Arkansas Territory. Today’s counties in Arkansas were carved out of five original counties in the Arkansas Territory. Search on the map to see where you would have been living during territorial times. · Fetch a pail of water at the Trimble House and draw water from a hand-dug well. · Visit the Sanders Farmstead and hear about The Night the Stars Fell, the event of the Leonid Meteor Shower that took place in 1833, as told from the perspectives of Native-Americans, African-American slaves and white settlers in southwest Arkansas. · Practice the lost skill of writing with quill and ink at the 1836 Hempstead County Courthouse. · Become a printer’s devil, the period term for an apprentice to the printer, at the print shop and earn your own Printer’s Devil Certificate as you learn how to operate a printing press. Then, learn about Arkansas’s Territorial Era newspaper, The Arkansas Gazette. · Visit the B.W. Edwards Weapons Museum and see Weapons of the Territorial Period. Weapons were part of everyday life in the Arkansas Territory and were used for hunting, as well as for protection. Get a close up look at these necessary tools. · For a taste of the territory, visit Williams Tavern from 11 a.m. to 3 p.m. and order a buffalo steak of buffalo burger. The Tavern also has a wide selection of items available. And, don’t forget to save room for homemade desserts! Come celebrate with us! 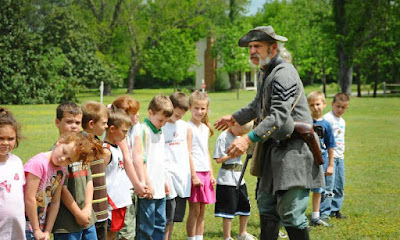 For more information, contact Historic Washington State Park at 870-983-2684. 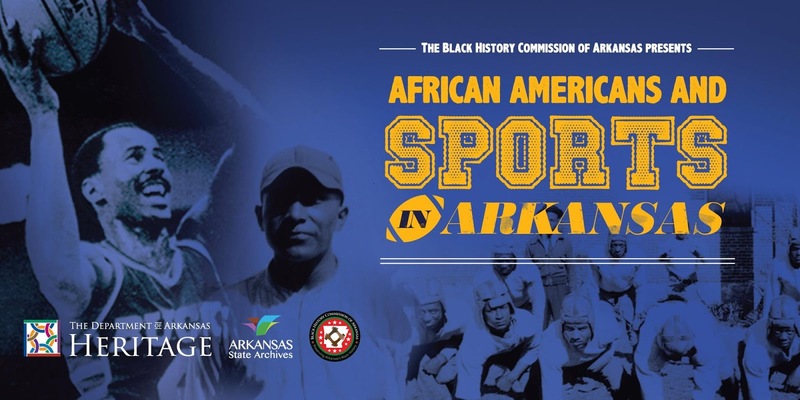 More than 50 people attended the Black History Commission of Arkansas event, "African Americans and Sports in Arkansas,” this past Feb. 2 at the Mosaic Templars Cultural Center. The event, which was held as part of Black History Month, drew young and old, including families and teachers. People listened to special speakers talk about the history of sports and African Americans in our state. Some speakers also talked about their personal experiences. Dr. Wilbert Gaines sang songs related to his struggles and showed the audience a cotton sack his mother used to pick cotton. Dr. Gaines became one of the first African American faculty members at Arkansas State University. During the event, he spoke about overcoming obstacles while keeping a kind heart. "Receiving starts with giving," Dr. Gaines told the crowd. Author Jimmy Cunningham, Jr., also gave a passionate speech on the struggle of African American athletes from Jefferson County, including Boid “One Arm” Buie. He described how Buie overcame multiple obstacles, including losing his arm, to become a world-famous basketball star. “Right will win over the long term” Cunningham said. Muskie Harris, a former Razorback football star, signed autographs and talked about his experiences as one of the first African American football players recruited by the University of Arkansas-Fayetteville. Harris said success takes discipline and work. Harris also encouraged the audience to talk with African American youths about more than sports. Children have the option to grow up and become doctors, lawyers, architects and more, but they often don’t think about it, Harris said. A full-length video of all the speakers is available online or visit our Facebook event page to see slideshows, articles, discussions and more. Tatyana Oyinloye, coordinator of the African American History Program at the Arkansas State Archives took a moment from her busy schedule to talk with us about her role in preserving Arkansas heritage and making sure history is not forgotten. Q: What’s your job title, and how long have you worked at the Arkansas State Archives? 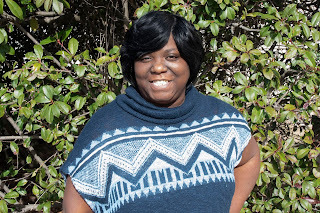 A: I am the coordinator of the African American History Program. I started here February 2, 2005, which is my oldest daughter’s birthday. Q: What do you do on a typical day at Archives? 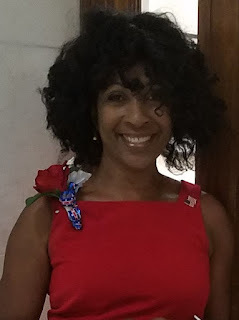 A: Researching , preparing for speaking engagements, promoting and encouraging people to apply for a Curtis Sykes grant, preparing for workshops and other duties as assigned. Q: How did you become interested in Arkansas history or working at the Arkansas State Archives? A: I started here because I had experience in microfilm and processing, which is where I originally started. Working here is where I found my love for knowing my history and my connection here in Arkansas. Q: What’s the most important or interesting thing you’ve discovered while working at Archives? Why? A: I discovered that we have a lifetime of untold stories that people could not begin to imagine. It’s here, at the archives, that I was able to find a photo of my great-great grandfather in a book. Just by doing some research, I stumbled upon it by accident. Q: Why do you think the Arkansas State Archives is important for Arkansans? A: It preserves the history of Arkansas and its residents. A: Being able to go to schools and talk to kids about Arkansas African American history and make them aware of the legacy and legends that came from our state. And, they are always so amazed, and it brings joy to my heart that if I reached just one student, I have done my job. Q: How do you see archiving evolving in the future? A: Digitization is great, but nothing touches the heart or soul more than touching an original document one of your ancestors held. Q: What do you wish people knew about Archives? A: What a wealth of information that is available for their research purposes. It’s also a place where they can donate their legacy knowing it will be here for generations to come. We recently had the opportunity to ask author Phyllis Hodges questions about her book, which will be available for purchase during her Pen to Podium lecture 6-7 p.m. Tuesday, April 16. Hodges will talk about living history-makers, which is an often-overlooked subject. She is the author of “8 years of Unforgettable History: the Allure of America’s First." Q: Why should Arkansans who aren’t normally history buffs pay attention to your research or come to Pen to Podium? A: My history book is unique...It's a Living history book, all the individuals are alive and well. People should come to the lecture because it's a hands-on lecture and book signing. A lot of the Arkansas First will be on hand to autograph and to answer questions. Q: Why does a list of firsts in Arkansas history matter? What makes this topic important? A: This topic is important because most people don't realize how many Arkansans that are world renowned live so close to us in Arkansas. Q: How did you come up with the idea for your book? What sparked your interest? A: The idea of my book came when I went to the library to check out a history book.... The history books I found were about decease of African Americans (and) slavery, wars. I couldn't find any living history books that combined the American History. Especially NO African American history. So then, I started asking questions to youth and adults about African American history. The people they would speak of were the same individuals. MLK, Daisy Bates, Rosie Parks, George Washington Carver — all these legends -- are heroes but in the past. Which is so important but we need to know present history as well. Q: How does your background fit into this book? A: My book was inspired our former President Barack Obama because this type of history was something that my dad, the late James Marshall, Sr., and many other African American seniors didn't have the opportunity to witness. Q: How might your book relate to ongoing politics in Arkansas or the U.S.? A: First of all my book is not a political book...but when most people see my book, due to the cover that's what they think. My book is a CURRENT Living History Book, a book for all readers, Americans. Q. What is one thing you wish people knew about your book and the work it took to put it together? A: It took nine years, plus, to complete. It started when Barack Obama was a senator, up until he finish his eight years in the white House as the Commander in Chief. There are a lot of similarities that the Arkansas First have with Mr. Obama that I write about. Q. Among the firsts you write about, who has inspired you the most? A: I can't select just one of the first that I write about that inspired me the most, they all are heroes and she-roes. Q: How has the Arkansas State Archives helped you in your research? A: The Arkansas Archives was very helpful when I was conducting my research. I found out many people I interviewed during the time I was putting my book together didn't know many of the individuals that I was writing about, so I decided to contact The Arkansas Archives. Q: What is the most unique thing about or in your book? A: The book cover. It was illustrated out of a dream I had. I was referred to an artist that sketched the cover of the book while I share my dream with him. 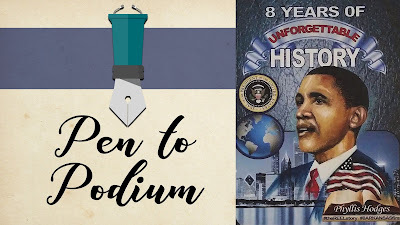 Pen to Podium is free. Reception starts at 5:30 p.m., courtesy of Friends of the Arkansas State Archives. When Arkansas Territory was established in 1819, Arkansas Post was named as the territorial capitol. By then, the small settlement near the mouth of the Arkansas River already had a history stretching back over 100 years. In 1682, a French explorer named Rene-Robert Cavelier, Sieur de La Salle, better known as La Salle, took an expedition to row the lower Mississippi by canoe. Once he reached the mouth of the river, La Salle claimed the land for France and named it “Louisiana” in honor of French King Louis XIV. La Salle had an enterprising young man named Henri de Tonti with him. When the expedition ended, La Salle gave de Tonti land in the Mississippi Delta for a trading post. De Tonti created a small garrison of 10 soldiers to establish a permanent settlement. That settlement later became a version of the Arkansas Post. This remote outpost was essential to the French. It served as an intermediary fortification for merchants traveling the Mississippi River between the Illinois River and New Orleans. The Native Americans in the lower Arkansas River Valley were divided into two tribes, the Quapaw and the Chickasaw. The Quapaw tribe was small enough that the French didn’t consider them a major threat. The tribe also was at war with the Chickasaws, which often pulled the fort into conflict. At one point, the Quapaw sided with the colonists, which led to constant friction between the Chickasaw and fort residents. De Tonti also invited a Catholic missionary to evangelize to local Native American tribes. One missionary, a Jesuit priest named Father Avond, lived in “a makeshift hut,” according to the writings of another priest, Father Vitry. The French moved Arkansas Post’s location as a colonial fort three times. One move was due to the ongoing struggle with the Chickasaws. A band of 150 Chickasaw warriors attacked the fort and partially burned it in 1749. The tribe killed six men and took many prisoners. After the attack, the French moved the fort up the river. France ceded Louisiana to Spain in 1763. Spain renamed Arkansas Post to Fort Carlos III. Little changed in Fort Carlos III. Residents continued to suffer from lack of supplies, and the Chickasaw remained skeptical of the new fort rulers and continued to raid it occasionally. 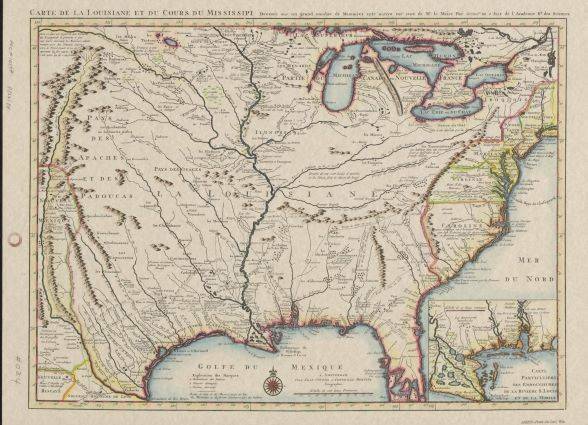 Louisiana changed hands again when the Spanish ceded it back to the French in 1801. The exchange had little impact on the daily lives of those at the Post. The fort came under American control after the Louisiana Purchase in 1804. The fort continued as a trading post and military garrison with little success. Even so, the post was the only large, white settlement in the Arkansas River Valley for many years, which led to the Post being named as the territorial capitol. Dubisson Funeral Home was established in 1915 in Little Rock, Arkansas, as Dubisson and Goodrich, an African American business. The company’s founders were Daniel Joy Dubisson and Fred J. Goodrich. After a fire destroyed the original building on Louisiana Street (between Fourth and Fifth streets), the business relocated several times, including a move to West Ninth Street (once Little Rock’s black business district). After Goodrich died in 1924 the business became Dubisson and Company. Daniel Dubisson, born September 28, 1872, in Franklin, Tennessee, married Clara Brown (December 15, 1875-November 13, 1929), and they had one child, Geraldine. After the death of his first wife he married Lula Sue Bryant (April 22, 1876-February 2, 1950) of Forrest City. The business incorporated in 1932, and expanded to include Dubisson Burial Association. Daniel Dubisson died on July 10, 1952, and his funeral was held at Bethel African Methodist Episcopal Church, in Little Rock. At that time, his daughter, Geraldine Dubisson Lee, became president. In the spring of 1986, Dubisson Funeral Home was acquired by the Miller Company of Monroe, Louisiana, with Joseph H. Miller as owner. In 1987 his son, Darryl Miller, became president of Dubisson. The funeral home is still in operation at 1851 Marshall Street. In 2002, the Afro-American Historical and Genealogical Society published “Dubisson Funeral Home, Little Rock, Arkansas Death Record Index” in three volumes, as a part of its Final Emancipation Cemetery and Funeral Home Project, funded in part by the Arkansas Humanities Council. The collection contains the records of Dubisson Funeral Home, 1925-1985. This collection contains William Beaumont’s World War I diary and typed transcript from December 8, 1917 to March 1919, covering a time span from when Beaumont left for basic training through the 247th Aero Squadron's demobilization. It also holds newspaper clippings, Beaumont genealogical information, correspondence, as well as photographs of William and Mary Beaumont. William Eustace Beaumont was born in Little Rock, Arkansas, on November 22, 1894, to Luther and Sophie Beaumont. He married Mary Elizabeth Hocott of Woodruff County, Arkansas, the daughter of Barbara and Joseph Hocott, on September 23, 1920. William was in the Army Air Corps in the 247th Aero Squadron during World War I. During his military career, he was stationed in England and France. William and Mary Beaumont graduated from the University of Arkansas School of Law at the same time and both were admitted to practice law together. The Beaumonts became known as the first married couple to be admitted to the bar by the Arkansas Supreme Court at the same time. Donated by Karoline Anne Beaumont-Rook in 2016. Beaumont, William Eustace papers, Arkansas State Archives, Little Rock, Arkansas. § 1928 September 6: To William Beaumont from R.C. Irvine, Vice President of Bankers Trust Co.
§ William E. Beaumont: Local Banker to Join Building and Loan Co.
§ PH.Beaumont.01: United States Army Corporal William Eustace Beaumont in military uniform. Black and white. 1918. § PH.Beaumont.02: Mary Beaumont (young woman in the middle of the photograph) eight grade graduation. Sepia tone. Circa 1912-1914. "The Arkansas Traveler" by Edward Payson Washburn, 1858. Arkansans have been portrayed as backwoods hillbillies who lack education and intelligence since the area’s earliest years. 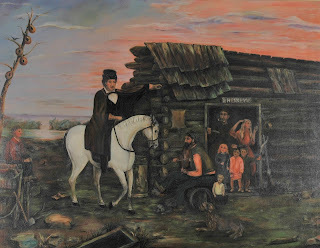 An early visitor to the Arkansas Territory, Henry Schoolcraft, was instrumental in the development of the negative stereotype. Schoolcraft was born in New York in 1793. As a boy, he became enamored with rocks and spent a lot of time studying geology. As an adult, he channeled that interest into a mining career. In 1818, Schoolcraft came to Missouri to scout mining interests, then moved south into the Ozarks. He tried to recruit people for his Ozarks excursion, but all declined except Levi Pettibone, a fellow New Yorker. Schoolcraft and Pettibone were not experienced outdoorsmen. Early in the trip, Schoolcraft made mistakes, including not hiring an experienced guide. He also wanted to “live off the land” during the trip but brought only a weapon used to hunt large game. He didn’t bring equipment to hunt smaller game, such as rabbits and squirrels. The Missouri and Arkansas Ozarks largely were uncharted. As Schoolcraft and Pettibone wandered through the woods, they got lost numerous times. While following the North Fork of the White River, they encountered their first Arkansans — a family in a cabin at Bennet’s Bayou. The travelers had not seen anyone for 20 days, and Schoolcraft was eager to meet the cabin owner. The family also lacked social niceties, Schoolcraft wrote. “They could only talk of bears, hunting and the like. The rude pursuits and the coarse enjoyments of the hunter state, were all they knew.” None of the house’s residents could read, and the closest thing to government was the justice of the peace of Lawrence County, which was about 100 miles away. Schoolcraft was similarly critical of everyone he met in the Ozarks. To him, Arkansas was an alien place that was more than geographically far away from his native New York. It was also far away culturally, economically and religiously from what he knew. 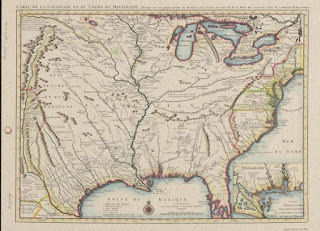 When Schoolcraft returned to New York in 1819, he published the diary of his travels in a book called, “Journal of a Tour into the Interior of Missouri and Arkansas in 1818 and 1819.” The book was the first glimpse northeasterners had of Arkansas, which became a Territory in March 1819. The picture of Arkansas that Schoolcraft painted in his book was not pretty. He repeated tales of illiterate hunters, near feral children and crushing isolation. After reading his book, few New Yorkers were willing to make the trek to Arkansas. In Schoolcraft’s words, Arkansas was “beyond the pale of the civilized world.” That reputation stuck, even as Arkansas developed. At least one other writer traveled to Arkansas and had similar criticism of the state. In the 1930s, writer H.L. Mencken made a trip from Baltimore, Maryland, to Arkansas. “Such shabby and flea-bitten villages I had never seen before, or such dreadful people,” Mencken said afterward. In response, the Arkansas legislature, in session at the time, passed a resolution to pray for Mencken’s soul. Arkansas might have started out as the rough-and-tumble, backwoods territory Schoolcraft described, but as the state developed, so too did its culture, education, economy and amenities. Despite the progress, for many, the hillbilly stereotype persists today. For more information about Schoolcraft, visit the Arkansas State Archives at http://archives.arkansas.gov or call 501-682-6900. Christopher C. Stell was born December 1852 to Miles L. and Lucinda Willbanks Stell. He and his wife Mary, whom he married in 1875, had three children: Birdie, Orvella, and Delia. He attended Arkansas Industrial University Medical Department in Little Rock from 1880 to 1882 and practiced medicine in Conway County. He died June 16, 1927. This collection contains matriculation and lecture admittance cards to Arkansas Industrial University Medical Department, and a leather-bound college notebook of Christopher C. Stell. In the back of the leather-bound notebook are notations of visits and prescriptions made by Dr. Stell. It also contains a list of the doctor’s charges and dates of services. o 1880-1881: Anatomy by J.A. Dibrell, Jr., M.D. o 1880-1881: Chemistry and Toxicology by Claibourne Watkins, M.D. o 1880-1881: Clinical Surgery and Dermatology by R.G. Jennings, M.D. o 1880-1881: Diseases of Children by J.M. Pirtle, M.D. o 1880-1881: Diseases of Genito Urinary Organs by J.H. Lenow, M.D. o 1880-1881: Hygiene and Botany by George C. Hartt, M.D. o 1880-1881: Materia Medica and Therapeutics by J.J. McAlmont, M.D. o 1880-1881: Obstetrics and Diseases of Women and Children by A.L. Breysacher, M.D. o 1880-1881: Oral Surgery by Louis Augspath, D.D.S. o 1880-1881: Physiology by James H. Southall, M.D. o 1880-1881: Practical Anatomy by L.P. Gibson, M.D. o 1880-1881: Principles and Practices of Surgery by Edwin Bentley, M.D. o 1880-1881: Theory and Practice of Medicine by P.O. Hooper, M.D. o 1881: Diseases of the Eye and Ear by T.E. Murrell, M.D. o 1881-1882: Anatomy by J.A. Dibrell, Jr., M.D. o 1881-1882: Chemistry by John B. Bond, M.D. o 1881-1882: Clinical Surgery and Dermatology by R.G. Jennings, M.D. o 1881-1882: Diseases of Genito Urinary Organs by J.H. Lenow, M.D. o 1881-1882: Diseases of Women and Children by J.M. Pirtle, M.D. o 1881-1882: Materia Medica and Therapeutics by J.J. McAlmont, M.D. o 1881-1882: Obstetrics and Diseases of Women and Children by A.L. Breysacher, M.D. o 1881-1882: Opthalmology and Otology by T.E. Murrell, M.D. o 1881-1882: Oral Surgery by Louis Augspath, D.D.S. o 1881-1882: Physiology by James H. Southall, M.D. o 1881-1882: Practical Anatomy by L.P. Gibson, M.D. o 1881-1882: Theory and Practice of Medicine by P.O. Hooper, M.D. o 1882: Principles and Practices of Surgery by Edwin Bentley, M.D.